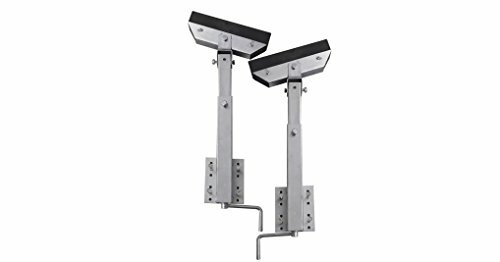 STURDY - These solid bar bow supports have a sturdy steel frame and can be installed on your boat trailer to support the bottom part of the boat, making it an indispensable part of your boat trailer. SUITABLE - They can be adjusted between 2' - 2' 10", making the bow supports suitable for smaller as well as larger boats. With a weight of 13.2 lb x 2 and a bar size of 11.8" x 3.9" x 1.6", the structure provides superior support for the boat. CONSTRUCTED - Constructed from high-quality zinc-coated steel, the solid bar bow supports can handle a maximum load weight of 1100 pounds.